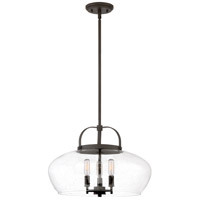 With subtle details the City Park Pendant is chic yet industrial in design. The large bowl of clear seedy glass is highlighted perfectly and provides an abundance of light. The finish enhances the curved arms and bolt details on the fixture base. 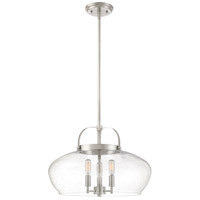 For added convenience and functionality this fixture can be used applied as a pendant or semi-flush mount.